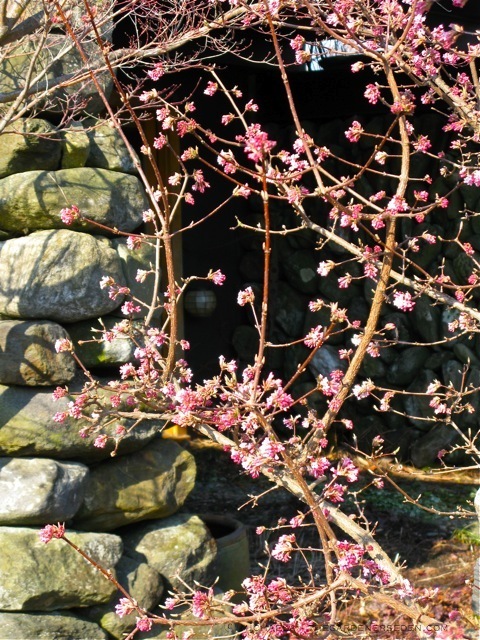 Viburnum bodnantense ‘Dawn’ blooms early in the season. 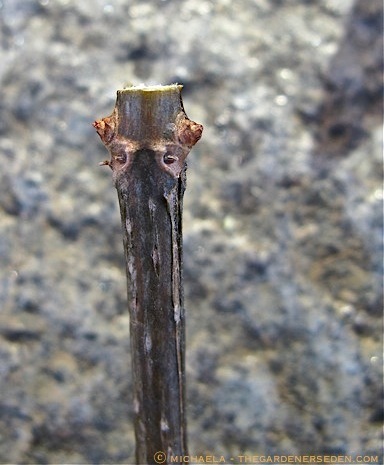 These flower buds were formed on old wood, last year. In general this shrub is only lightly pruned for shape, right after it has finished blooming. 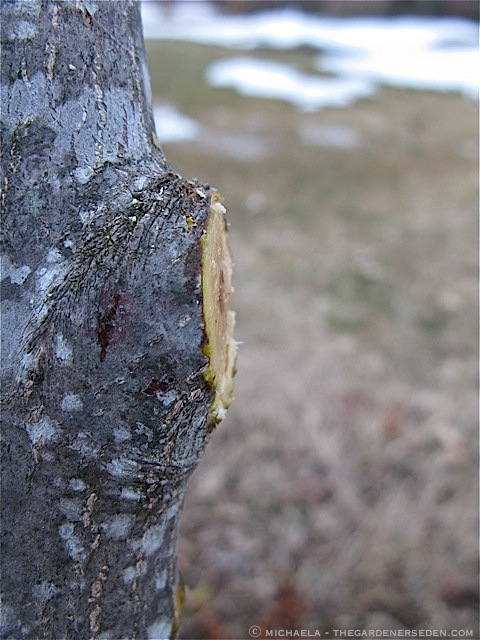 Damaged wood can and should be pruned anytime, as soon as it is observed. After a long, tough winter, it sure is wonderful to see snowbanks finally receding from the garden and to sample the fragrance of a few early spring blossoms. As the weather cleared this afternoon, I spent a couple of hours looking over the emerging landscape, and while it was fun to get back in the garden, I made a few sad discoveries. Those sparkling ice storms were beautiful to behold this past winter, but it seems they left quite a trail of destruction in the garden. 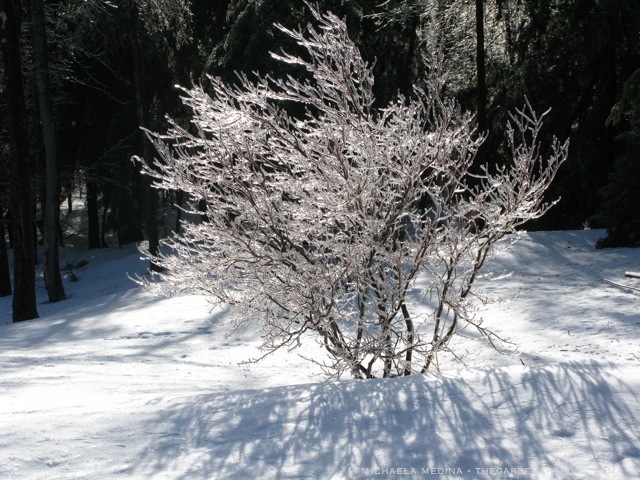 I will be spending the next few weeks checking for damage on ornamental trees and shrubs; pruning and cleaning up snapped limbs and branches. Pruning is a large subject —one I will be discussing throughout the growing season— but I have a few basic tips to share today, which are useful at any time of the year. 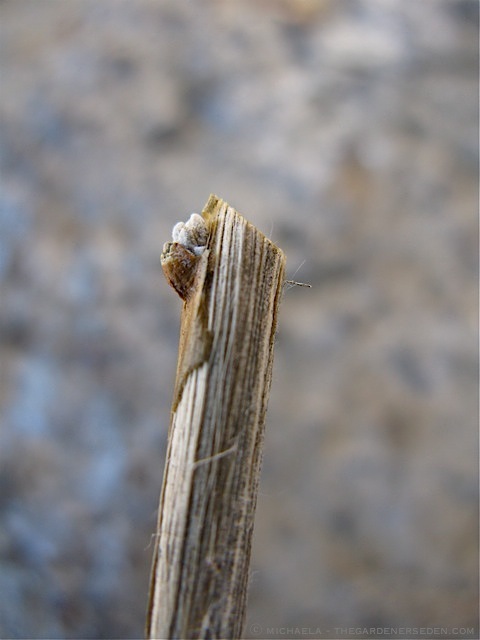 Winter often takes a toll on woody garden plants, and it’s important to clean up splintered wood and ragged bark as soon as you notice it; before insects and disease move in. 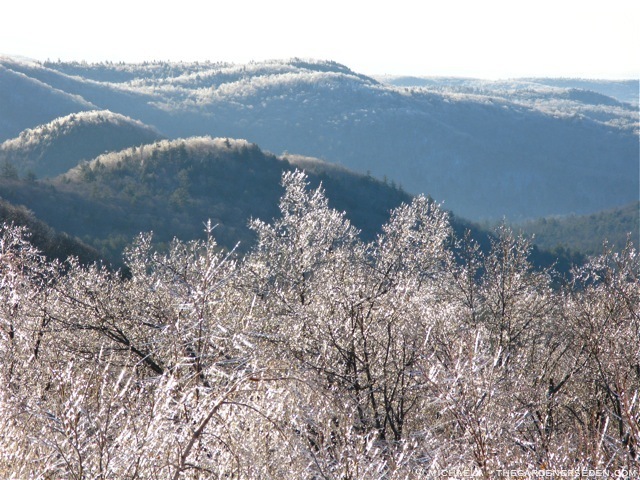 Take a close look at your garden now that the snow has (hopefully) melted back, and see how your trees and shrubs are doing. Spot any cracked limbs or branches? Now is the best time to address those problems. Later on in the season, flowers and foliage will hide structural damage, making it difficult to spot and much harder to tackle. 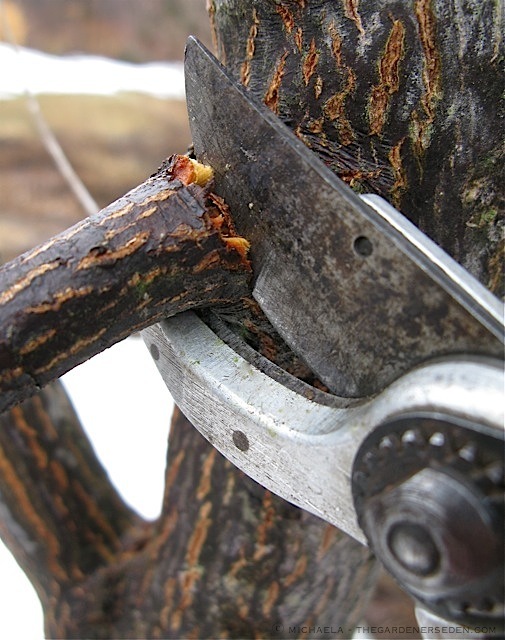 Pruning a young Halesia tetraptera limb at the edge of the branch collar — branch broken by heavy icing— with a pair of sharp, clean bypass pruning shears. 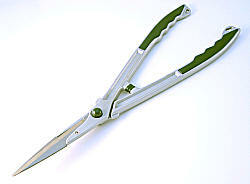 I use Felco #8 pruners for most small pruning tasks. 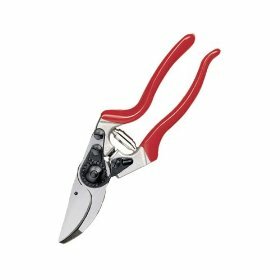 Felco #6 pruners are a better model for those with very small hands. But before you set off to begin cutting, the first —and most important— step, is to start work with clean, sharp pruners of the right type. 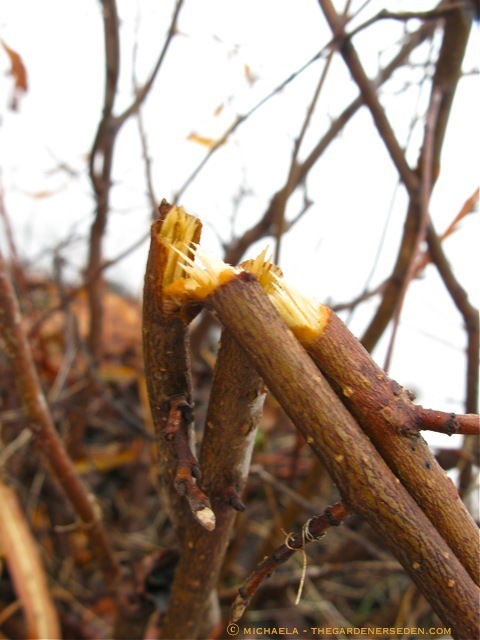 Small branches and stems are easily tackled with bypass pruners and/or a pruning knife. Larger branches or small limbs —particularly those with tight or awkward angles— usually call for a Grecian saw (sometimes called a folding saw). And for all but the very largest limbs (which may require an arborist’s chainsaw) I recommend use of a bow saw. You can read more about these tools in my previous post (click here). In addition to these basic pruners, I also keep a few supplies for sharpening and sterilizing my tools close at hand. Rubbing alcohol, cotton rags, a can of household oil and a whetstone are the four most important items in my pruning tote. Before the season begins, I clean, sharpen and oil all of my pruning shears. And after pruning each tree and shrub, I carefully wipe down blades with a rubbing-alcohol-soaked rag. This step is key to preventing disease (often invisible to the naked eye) from spreading from plant to plant. 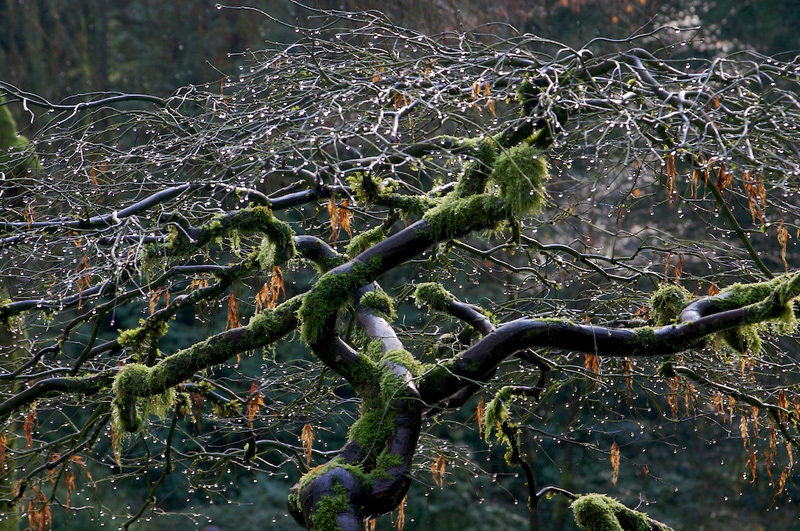 The broken branches on this Fothergilla gardenii invite disease and insect infestation. 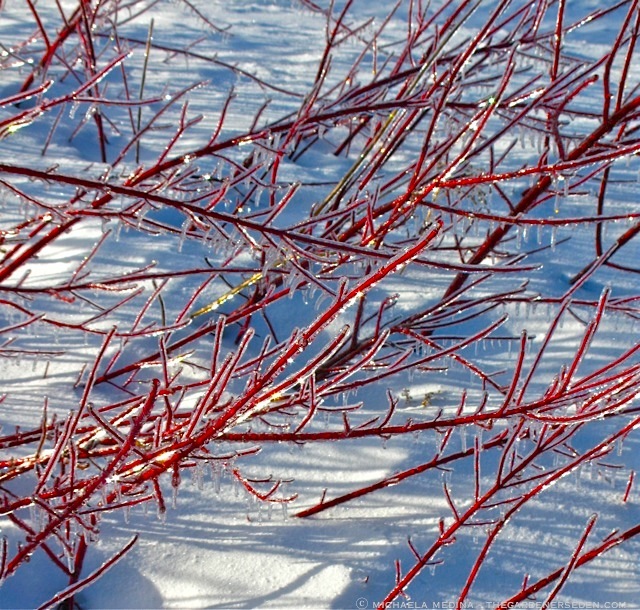 Snapped in an awkward place along the main framework of the shrub, they are pruned down to the ground. Although it was a tough amputation to make, new growth produced this season will quickly fill in the gap. 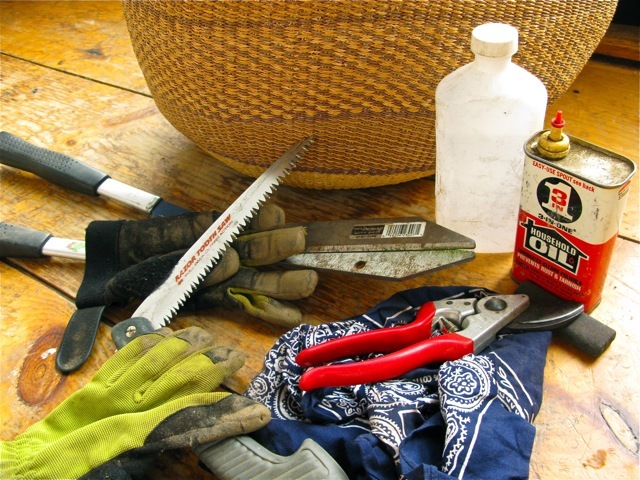 Knowing how and where to make a clean cut on damaged wood is often what prevents gardeners from approaching pruning chores with confidence. 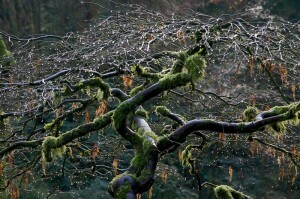 This is a shame, because the basics of pruning are relatively simple, and once a gardener gets the hang of it, pruning often becomes a favorite —and even meditative— horticultural task. I love the art of pruning, and from a maintenance standpoint, the annual spring clean-up of woody plants is my favorite time of the year. Hands-on training is the best way to learn pruning techniques. If you have the opportunity to work with an good pruner, I highly recommend it. But if an experienced teacher is not on hand, there are several excellent resources available in print. For beginner to mid-level gardeners, I always recommend Lee Reich’s The Pruning Book. Straightforward and simple, but descriptively written and well illustrated, this is really the best title I have found on the subject. Remember, always clean, dry, oil and sharpen tools both before and after each use. Disinfect pruners with rubbing alcohol after pruning is complete on each specimen. Article and photographs (excepting book link) are copyright Michaela at The Gardener’s Eden, all rights reserved. All content on this site, (with noted exceptions), is the property of The Gardener’s Eden and may not be used, reproduced or reposted elsewhere without written consent. Do you enjoy The Gardener’s Eden? You can help support this site by shopping through affiliate links here. A small percentage of each sale will be paid to this site, helping to cover web hosting and maintenance costs. Thank you so much for your support! 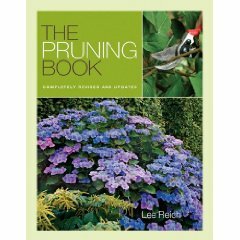 You are currently browsing entries tagged with Lee Reich The Pruning Book at The Gardener's Eden.